The story of Shazam: "In Winter 1974. a young Thaddeus Sivana and his older brother are driven home by their father. While playing with his magic 8 balls, Sivana is magically transported to the Rock of Eternity, where he meets a wizard, who introduced him to the mystical statues containing the spirits of the Seven Deadly Sins: Pride, Greed, Lust, Envy, Gluttony, Wrath, and Sloth. The last of a council of 7, the wizard spent centuries searching for a new champion. Put to a test to see if he is pure of heart, Sivana attempts to touch the eye of envy, failing the test. Transported back to the car, he causes a scene in which his brother hits him, and his father to crash on the ice, injured. The magic 8 ball reads "find me". Freddy Freeman: If you could have one superpower, what would you pick? Everybody chooses flight. You know why? The Wizard: Say my name so my powers may flow through you. 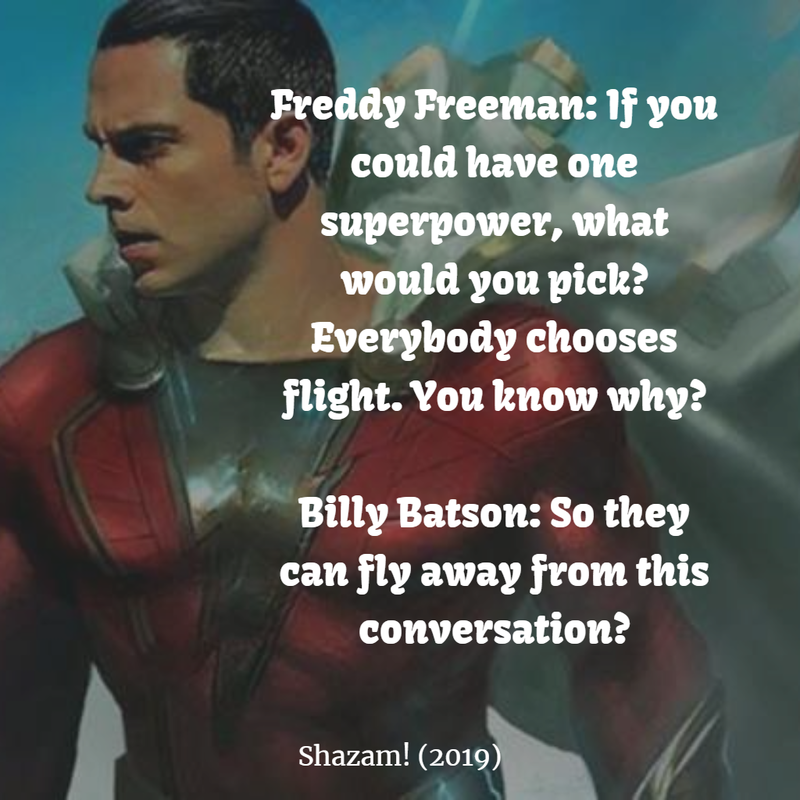 Billy Batson: But, I don't know your name, sir. Billy Batson: [laughs] Are you for real? The Wizard: Say my name so that my powers may flow through you. 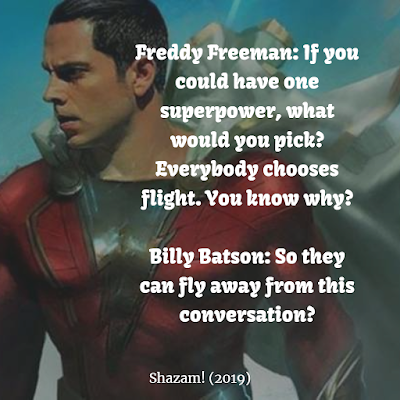 Billy Batson: But I don't know your name, sir. The Wizard: Billy Batson, I choose you as champion. Billy Batson: Say my name! Freddy Freeman, Mary Bromfield, Darla Dudley (Adult), Pedro Peña, Eugene Choi: BILLY! Billy Batson: No, the name that gives me powers! Freddy Freeman, Mary Bromfield, Darla Dudley (Adult), Pedro Peña, Eugene Choi: SHAZAM! 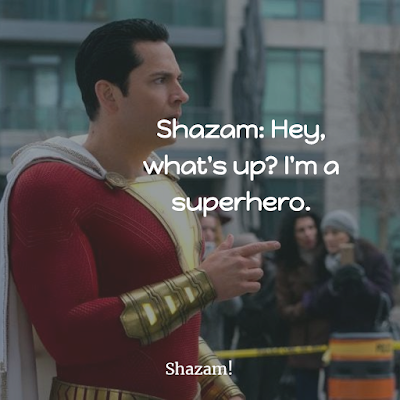 Shazam: You're the only person I know that knows anything about this Caped Crusader stuff. Freddy Freeman: What're your superpowers? Shazam: [to Doctor Thaddeus Sivana] You're like a bad guy, right? 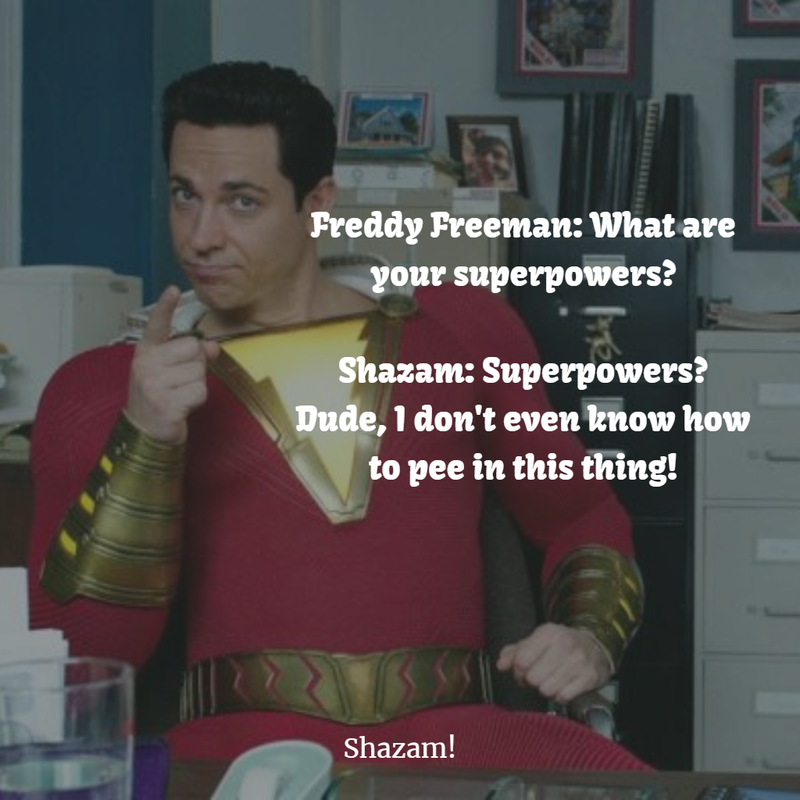 Freddy Freeman: [to Shazam] You have super strength! Can you fly?